I'm at school today, so thought I would send out our cold weather information. 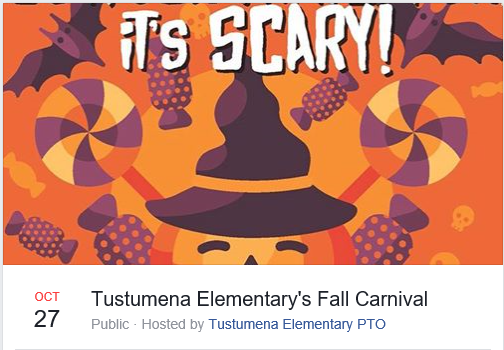 Tustumena will host its annual Pumpkin Carving Contest on October 31th. The pumpkins may be brought to school Tuesday morning and then they will need to be taken home in the afternoon. There will be prizes for the primary aged children and for the intermediate grades. 3. The Superintendent of Schools makes a final decision to delay start by two hours, or close schools. · Add two hours to normal school start time. · Add two hours to normal bus pick-up time. Thus, students are picked-up two hours later than their normal scheduled bus pick-up time. · KPBSD employees arrive two hours later than normal work-day morning schedule. · Schools will dismiss at the normal time unless announced otherwise. · A make-up day is generally scheduled on a vacation day, or after the official school calendar ends in May. One day is built into the calendar—typically the third Friday in the last quarter—and is often used as the first option for a make-up day. · Per state law, all students must attend school for the minimum of 170 student contact days. · KPBSD teaching contract is 188 days (also includes orientation days and 7 mandated holidays.) Teacher in-service days are part of Professional Development and required by contract. Flexible work days are most often utilized at the front end of the school year (August) in preparation for the school year.